Source: Ask An Eastern Orthodox Christian: How does someone with addiction live a religious life? This question was posed by someone wanting to know if there isn’t an element of deception involved on the part of the addict who attempts to live a Christian life while secretly engaging in some form of addictive behavior. In response to this question, Nicholas Damascus tells us that the addict should be trying to live a Christian life because it is antithetical to not do so. The purpose of the Church is to heal all manner of spiritual sickness and should be thought of as a hospital for the soul. It is through the mysteries (sacraments) that healing comes about. Sin is a kind of disease for which salvation through Jesus Christ is the cure. One of the primary ways through which healing can come about is through the mystery of confession. Confession allows us to ask for forgiveness of our sins with heart-felt repentance, a change of mind, and an internal reorientation to follow Christ. 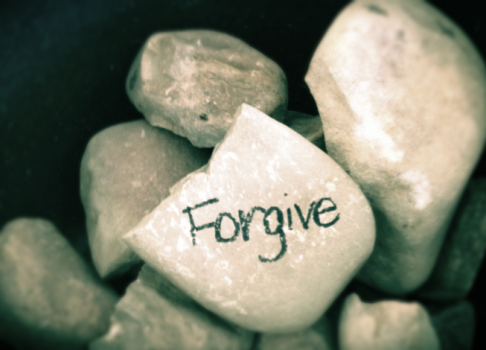 Forgiveness comes from Christ through the Church and our sins are erased as though they never happened. The door of healing is then opened to us. For anyone to to say that an addict should not attempt to live a Christian life because of their addiction calls to mind the words of Christ when He spoke of accusing a brother of having a pole in his eye while we ourselves have a speck in our own eye. The Bible tells us that we cannot say that we love God if we do not love our brother, even a brother suffering from addiction. In Christianity, more than anywhere else, we should love our addiction-suffering brother because he needs that love to help bring about the healing process. If we withhold that love because we believe our brother is engaging in some form of deception, we are not doing our part as Christians to help our brother to heal. Nicholas tells us that it is difficult for the sinner to change under the knife of his brother. Another primary mystery for healing is the Eucharist or communion, where we are strongly exhorted by Christ to receive the source of life (which is love), by partaking of His eucharistic flesh and blood. One of the major reasons for the Church’s existence, we can receive healing by partaking of the Body and Blood of Christ and also by immersing ourselves in the Body of Christ in the form of His Church. In receiving the Eucharist, transformation begins and we become more like Him. Many 12-step groups such as Alcoholics Anonymous promote healing and recovery through the seeking of a higher power that will allow us to heal physically, mentally, emotionally and spiritually. Therefore any accusation of attempting to use religion as a way to hide one’s addiction from others is unfounded. What purpose is served engaging in deception when the 12-step program is all about admitting that one has an addiction and needs help beyond himself? A person suffering from addiction and turning to faith is searching for healing, not for an opportunity to “put on a show.” The lesson for us is that this person may have come into our lives so that we may help him and also, receive an opportunity to work on our own salvation.